You know London, you know Paris, you’ve heard all about the Croatian Coast and how special it is in the summer. But just when you thought you knew all about the continent, a whole bunch of under-the-radar destinations pop up out of nowhere. 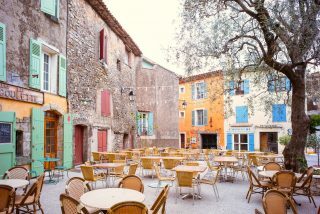 Pick the best of these undiscovered locations for a different Europe trip. 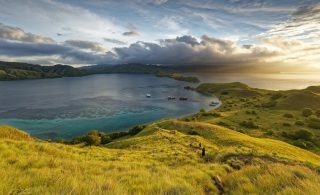 Europe keeps us guessing with its emerging hotspots: from Belarus to the Hungarian Balaton-Uplands, today we take you through some of the Old World’s most dazzling and underrated gems. Get inspired, get excited, and get moving already. Nestled along a cosy stretch of the Slovenian Adriatic between Croatia and Italy, you’d be forgiven for overlooking Piran (though it’s definitely in your interest not to). Given its Italian roots (it was part of Italy until the end of WWII) it’s probably no surprise that you’ll find some of the Mediterranean region’s best food here; so too, a suite of relaxing wellness spas, and historical vibes to rival any nook on the continent. Inspire Is This Slovenian Town Eastern Europe's Best-Kept Secret? Those pictures of gorgeous terracotta roofs and panoramic views of shimmering teal sea don’t lie – this idyllic fishing village is candy for the eyeballs, and pure food for the soul. The eastern end of the continent will always offer a different Europe experience. 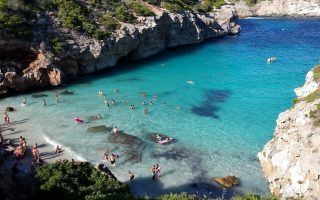 Surrounded by stunning beaches, turquoise coves and fine summer times, you can’t really go wrong in the Balearic Islands. 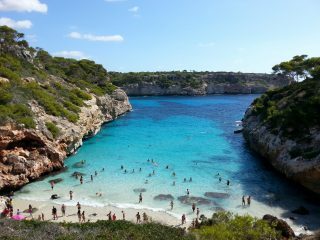 While Ibiza has the party set covered, stunning Majorca (aka Mallorca) hold its own in the chill-out stakes. Nestled in a ravine by the foot of the Teix Mountain, Deia is one of the most gorgeous towns in the Balearics, popular with creatives, artists and bohemians from all over the world. It’s breathtaking cliffs, olive groves, and hidden coves are what travel dreams are made of. As far as complex and colourful histories go, Brest is right up there: claimed by countless countries and victors over the centuries, perpetually raided, pillaged, demolished, rebirthed, and born again. Don’t confuse this Brest with its French counterpart; you’ll find this one in Belarus, by the borders of Ukraine and Poland. The town’s major site is the 19th century Hero Fortress, a stunning ruin and memorial for Soviet troops who held out against the Nazis in Operation Barbarossa, featuring some of the greatest statues you’ve never seen (including the frowning head of a giant Red Army soldier, and a 300ft high titanium steel bayonet). With over a million hectares spread across three of Hungary’s counties, Balaton-Uplands National Park is a huge and incredibly diverse natural area. Drive two hours southwest of Budapest and you’ll find it, by Lake Balaton: Central Europe’s largest freshwater lake. As to be expected, the natural virtues here are endless: wild caves, trails, epic hiking, buffaloes and generally out of this world terrain, with beauty on par with any of the most spectacular regions in Europe. You heard it here first. With its spectacular coastline and scant tourist crowds, Montenegro is having its moment right now, and with gems like Sveti Stefan on show, it’s not difficult to see why. 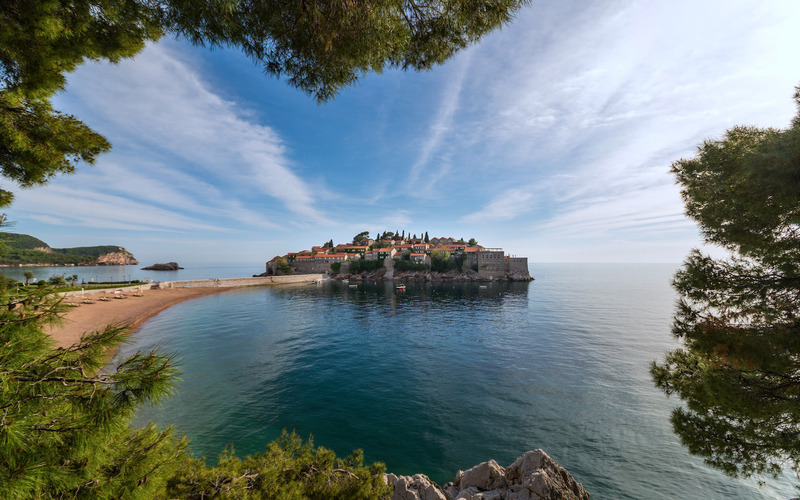 Along a magnetic coast of spectacular moments, it can be tough for a place to stick out, but Sveti Stefan does. This former Venetian fort is enjoying a new life as a five-star island resort these days, and while Sveti might smash the bank a little, a trip here is without a doubt something to write home about (and Instagram excessively). Save your pennies and chill coast-side with the rich and famous. Talk about a different Europe experience. What do you know about the Azores? What you should know is that these islands in the Portuguese Atlantic are a bona fide adventure hotspot (literally – they’re volcanic!) and will give you a totally different Europe-adventure perspective. Proudly one of the most sustainable destinations on the planet, the Azores are a series of natural wonders, full of incredible landscapes, amazing outdoor adventure activities and brilliant cuisine. Bathe in the hot springs, dig your feet into black sand, whale-watch, paraglide, swim with the dolphins and surf – the Azores are an truly out-of-this-world trip. Speaking of islands, the Faroes give the Azores a run for their money when it comes to sheer beauty. You’ll have to look closely on the map for these guys – as part of Denmark, they’re out in the middle of the Norwegian Sea in between Iceland and Norway. There are 18 of them, all spectacularly beautiful, volcanic, unhurried, generally free of humans (sheep outnumber people 2:1) and downright pleasant. Epic hiking, puffin sightings, dramatic cliffs and an array of moss-roofed towns await. 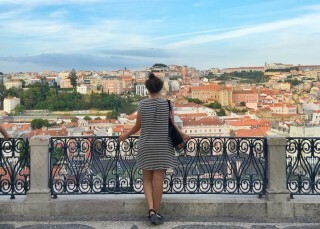 While Lisbon has been a must-see capital for a number of years now, few realise just how many excellent spots there are in the immediate metropolitan vicinity. For a different Europe experience in Portugal, head west for an hour, and you’ll find the sleepy resort town Cascais, a former fishing village and prime retreat for the Portuguese rich and famous (Portuguese royals even used to shack up here in the summer months). Adorned with excellent seaside vistas, brilliant surf, a cosy main town with excellent eateries, cafes and bars, Cascais is also neatly within a hop and step of day trips to Sintra, and beachside Estoril and Ericeira. (Don’t forget to check out the Boca de Inferno, aka the Devil’s Mouth, the hazardous rocky cliffs where occultist Aleister Crowley faked his own death 100 years ago). Encircled by epic mountains and fjords, Bergen is without doubt one of the cosiest and most alluring cities in Scandinavia, a cultural and historical hub with a sizeable dose of eclectic verve and vibe. There’s a delightfully cosy small-town feel in Bergen, while its nightlife, dining, cultural scene and youthful air is undeniably first rate. Now you know how to see a different Europe to everyone else, read more about up-and-coming Europe destinations here. Book your flights with Qantas and begin your next Europe adventure.